When guests attend your wedding, there’s a 99% chance (not a real statistic) that they’re expecting wedding favors they can use – that’s why practical wedding favors are the way to go. Your guests will leave happy, and you can rest assured the favor won’t be tossed in the trash or stuffed away in a drawer when they get home. I’m all about practical wedding favors (if you ask me, the only other option besides something useful is a photo booth or donation). So here’s yet another list of some awesome wedding favor ideas, except this time I’ve listed them in order of best to worst (in my opinion). Click on the links to be brought directly to each section! 1. Bookmark Favors – Seriously, we have SO many bookmarks that are best sellers. They’re cheap and adorable – you can literally find one for every theme. I am personally a bookworm and bookmarks help keep my nasty “dog-earring the pages” habit at bay. 2. Playing Card Favors – …are not just for Las Vegas weddings. First of all, they’re personalized, so guests are certain to love them. I’ve actually received these as favors before, and kept them in my purse (which I could do, because they come in a handy little plastic case). And I used them – the host never seems to have playing cards when I attend parties. 3. Luggage Tag Favors – These are especially suitable if you’re having a destination wedding, but certainly not limited to those only. Nor are they only going to please the avid travelers: there’s a good chance that guests will remember it the next time they have to hop on a plane. 4. Wedding Coasters – Do I even have to elaborate? Everyone uses coasters; your guests will too. And if it’s not every day, they’ll need them the next time they have guests over. 5. Salt & Pepper Shaker Favors – Even though they’re miniscule, they are just so cute. No one will be able to resist the fun shapes and sizes they come in, so even if they’re not used, they’ll be displayed somewhere in the kitchen. 6. Kitchen Themed Wedding Favors – This includes anything from our best selling measuring spoon favors to mini whisks, pizza cutters and more. They’re especially perfect as bridal shower favors…check out our article for ideas: Kitchen Themed Bridal Shower Ideas. 7. Pasta & Salad Serving Sets – These are a great choice if you have a little more money to spend, because they can get costly. Our Murano-inspired ones are especially nice. 8. Cake Server Favors – Again, these can get costly too. Keep in mind they probably won’t be used except on birthdays and other parties (unless your guests eat cake or pie every day). 9. Olive Oil & Cruet Sets – I come from an Italian family, so olive oil is always in the kitchen and constantly being used for cooking. But they can get expensive unless you’re planning on purchasing miniature versions. 10. Ice Cream Scoop Favors – You’ll also find ice cream bowls here too. With a bit more whimsy than elegance, ice cream favors are more suitable as for parties, but they’re always an option for the summer wedding. 11. Photo Frames & Albums – The only tip I have is this: buy a larger sized frame in a simple style. It’s something that people will be displaying in their homes, so be thoughtful when choosing as everyone’s decorating tastes are different and you want something versatile. 12. 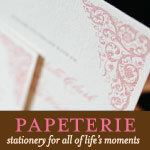 Stationary & Pen Favors – Everyone uses pens, but keep in mind that eventually they will run out of ink. Letter openers are used less frequently, but can be kept forever. 13. 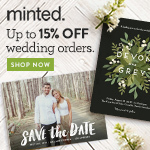 Magnet Wedding Favors – Personally, I like magnets for save the dates…and that’s it. Memo clip magnets are an exception. 14. Cookie Cutter Favors – I bake, and I have never used a cookie cutter in my life. My only advice is to purchase samples first and make sure they are good quality and actually work! 15. Notebook Favors – I have an addiction to Post-Its, so anything of that sort would be helpful to me. However, I can’t say that I’d put too much use to a pen that barely fits in my hand and tiny notebook paper that has no adhesive. Looking for Groomsmen Gift Ideas? Select Category After The Wedding As Seen In Ask Little Things Before The Wedding Celebrity Weddings Contests Gifts Life @ Little Things Question Of The Day Sales Promotions Uncategorized Unique Wedding Ideas Wedding Accessories Wedding Advice Wedding Ceremony Ideas Wedding Contests Wedding Favors Wedding Party Gifts Wedding Planning Wedding Reception Ideas Wedding Tips Wedding Traditions Win It! © Copyright 2003-2010 Little Things Favors. All Rights Reserved. Wedding Favors By Little Things.